After being diagnosed with cancer when she was 32, Elissa Goodman explored holistic alternatives and combined them with traditional treatments and was able to beat the disease. Her personal experience led her to realize the many ways in which nutrition and lifestyle affect our ability to deal with health challenges. In her book, Cancer Hacks, Goodman has put together a comprehensive plan designed to offer some common-sense, natural and holistic advice to deal with the fear and uncertainty so many people face when confronted by this terrible disease. Lots of people get depressed this time of year, the “winter blues” can have your baby blues, browns, hazels, and greens filled with tears for seemingly no reason, but there’s science behind it. Less natural sunlight really does a number on your mental health! Disruptions in circadian rhythm, melatonin, and serotonin levels happen with changes in sunlight. The affect can cause symptoms of fatigue, depression, isolation, mood swings, and more. We call it SAD for Seasonal Affective Disorder (ironic, right?) and about 70-80% of those diagnosed with SAD are women, with the common age of onset starting in your 30’s. You might be thinking. “Great, another crappy thing that comes along for us to deal with…” and I agree, BUT the good news is there is a lot that you can do about SAD and many natural ways to prevent and treat it. Bonus, these recommendations are beneficial in many ways outside of treating your SAD symptoms. Pure Encapsulations Tryptophan – Tryptophan is responsible for the production of serotonin and can be used as a natural antidepressant. This supplement enhances serotonin synthesis for emotional wellbeing and promotes relaxation in the process. Research shows that light stimulates the conversion on tryptophan to serotonin, making it a good supplement to take along with light therapy. Pure Encapsulations 5HTP – Encourages increased serotonin levels to promote a heightened sense of wellbeing and plays a role in healthy sleep/wake cycles. Pure Encapsulations B-Complex Plus – This blend of B vitamin is essential for nervous system functioning, so getting the proper amount can improve mood. In particular, B6 is an important nutrient in the production of serotonin and its deficiency can contribute to SAD and B12 has been shown to help those suffering from depression and anxiety. Beans, nuts, whole grains, leafy greens are great sources of magnesium and magnesium is an essential mineral for serotonin and melatonin production. 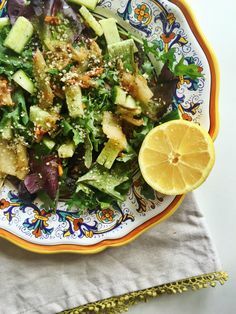 Wild salmon, walnuts, chia seeds, hemp seeds, flaxseed, anchovies, and egg yolks are packed with Omega’s and these fatty acids have a role in the synthesis of serotonin. There is encouraging data about the use of omega’s to treat depressive disorders. Researcher’s found that SAD is very rare among Icelandic peoples, despite very little daylight hours in winter. They correlated low rates to their high omega-3 fatty acids intake from cold-water fish. When fish consumption went down, the incidence of SAD began to increase. Vitamin D – Portabello, shiitake,and maitake mushrooms, trout, smoked salmon, most wild caught fish, egg yolks, silken tofu, for most parts of the country, the sunlight we get from October through May is not strong enough for the body to make Vitamin D we require, so it is essential that your diet provide it. – Was it made specifically to treat SAD? St. John’s Shield – St. John’s wort has been shown to be effective again severe depression and depressive symptoms of SAD. Specifically this flower essence blend is used to treat “winter blues,” when feeling sluggish, immobilized or otherwise beset with SAD, apply a this flower essence to the chest, throat, or solar plex area. BodyVibesTM Smart Stickers “Mood Boost” – Body VibesTM are smart stickers that have been programmed to mimic the beneficial frequencies already found in our body, subtly restoring energy imbalances in mind, body, and spirit. Body VibesTM work by targeting the Central Nervous System. The “Mood Boost” BodyVibe promotes a positive outlook and balances mood swings. If you feel those seasonal blues coming on, it is important to treat it, as any form of depression interferes with your ability to thrive. **Elissa Goodman’s suggestions are not intended to treat, diagnose, cure or prevent any disease, rather for educational and informative purposes. Elissa Goodman recommends to always check with your physician / healthcare provider regarding a medical condition and before undertaking any diet, exercise or other health-related program.